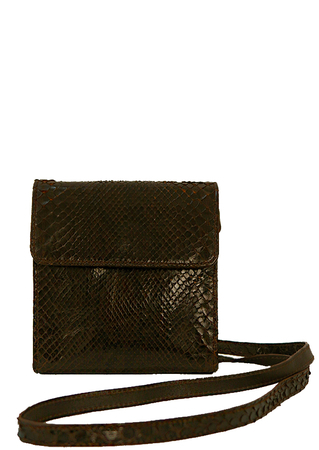 Small but perfectly formed snakeskin cross body shoulder bag in a rich brown colour tone. 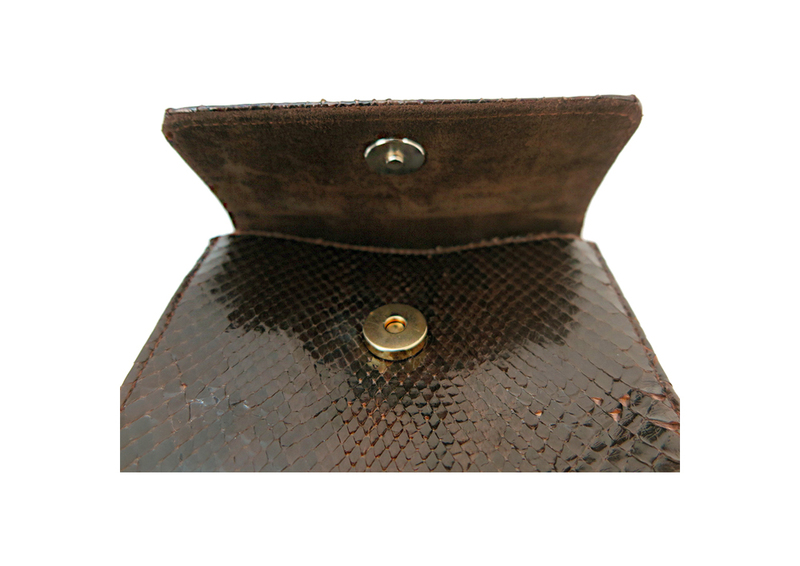 The bag fastens with a magnetic popper and the flap is lined in brown suede. 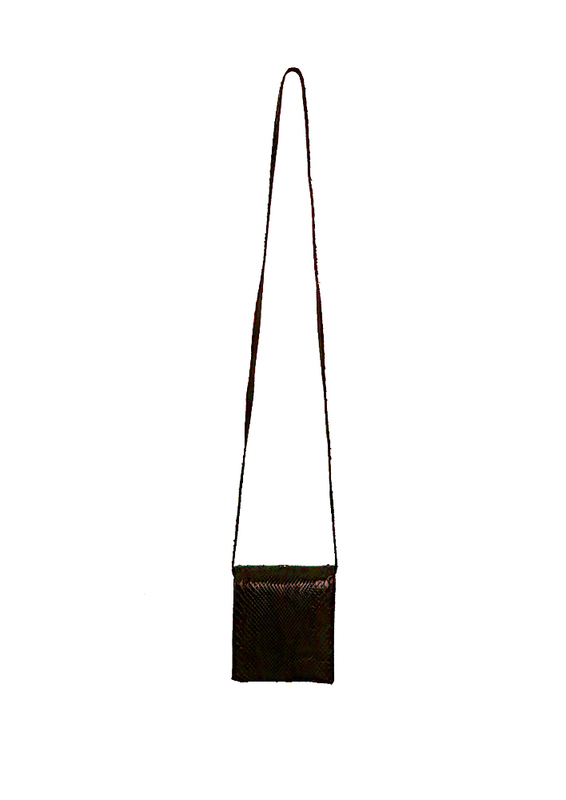 The inside of the bag has a black satin-like fabric lining and is in excellent condition. 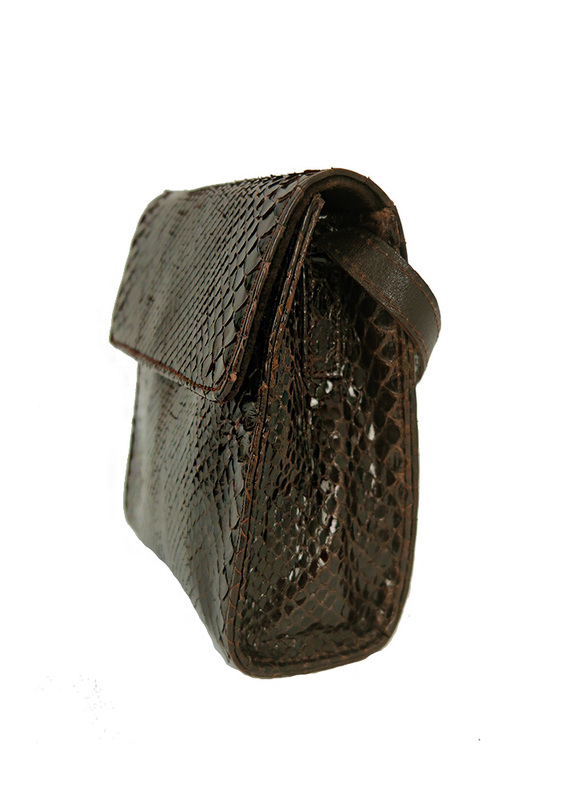 In line with the material, some of the scales of the snakeskin are slightly raised in parts which gives the bag a lovely natural look rather than overly finessed.